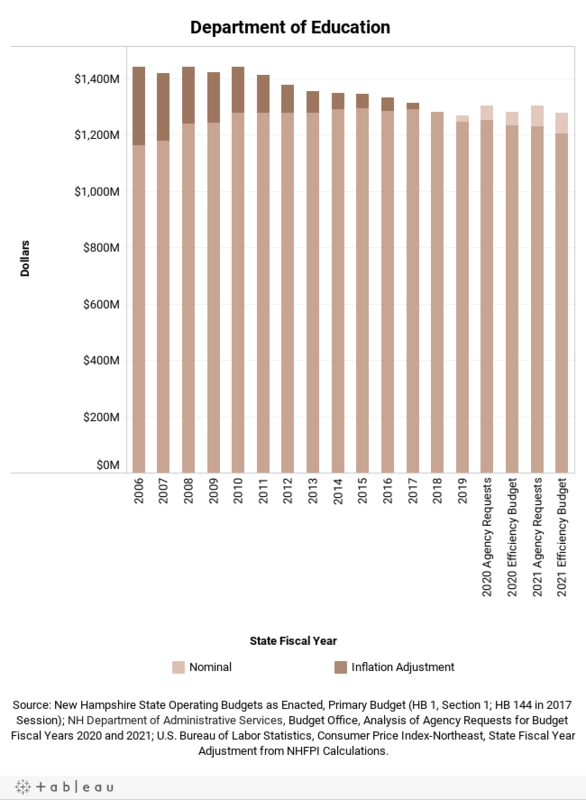 State agencies have been appropriated differing levels of funding in recent years, as policy choices made by successive legislatures and changes in service needs among the population have affected appropriations. 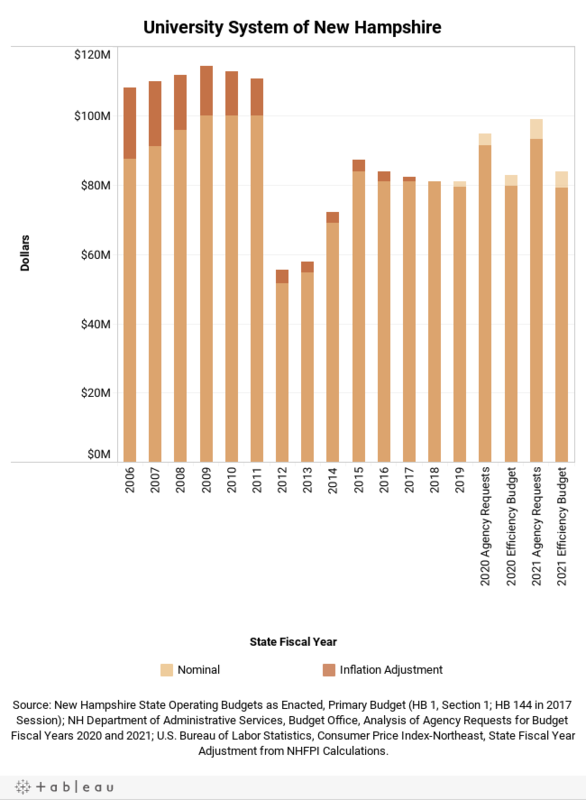 The Great Recession of 2007 to 2009 and its aftermath affected State revenues and service needs considerably, with additional fiscal assistance from the federal government having positive impacts on agency budgets, particularly during fiscal years 2010 and 2011. 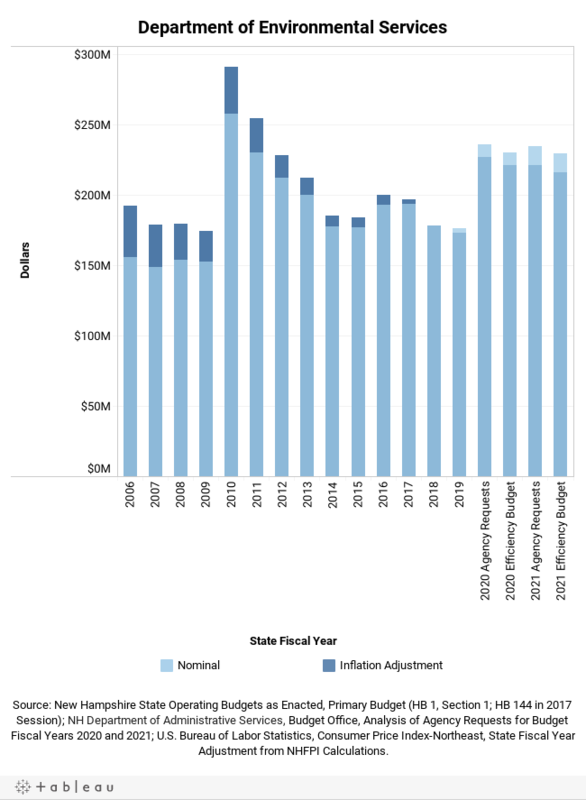 Adjusting for inflation shows the impacts of the shrinking value of the dollar over time relative to State agency budgets, providing one indication of their real ability to pay for goods and services for the people of New Hampshire given certain levels of appropriations. Costs for goods and services, such as health care and construction of transportation infrastructure, fluctuate in ways that may not trend with the broader inflation consumers face in the economy. That broader inflation is measured by the Consumer Price Index-Urban, Northeast Region, which is the inflation measure used in these graphics for past inflation. Projected inflation figures for future fiscal years employed Federal Reserve projections. 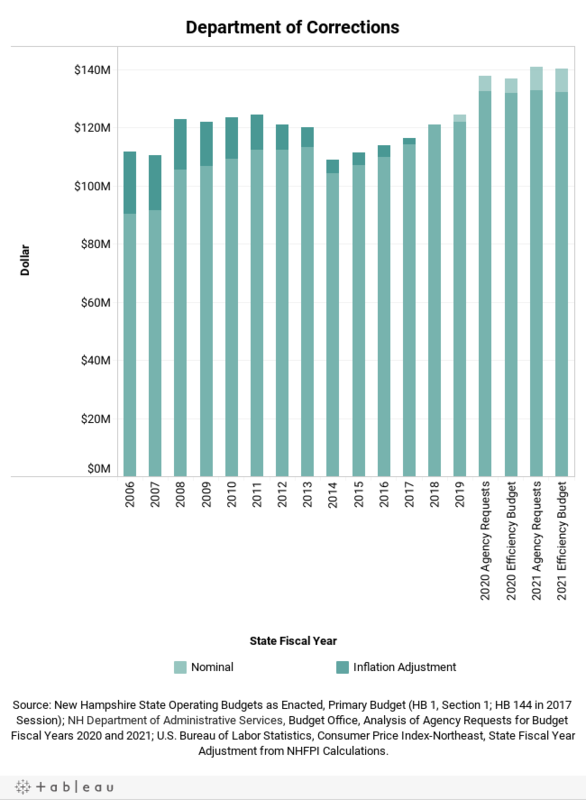 Explore the graphics below to see the changes in certain agency budget requests relative to prior years. The governor’s budget proposal, which Governor Sununu is expected to release February 14, may mirror, incorporate, or alter these requests, and the Legislature may make further changes as the process moves forward. 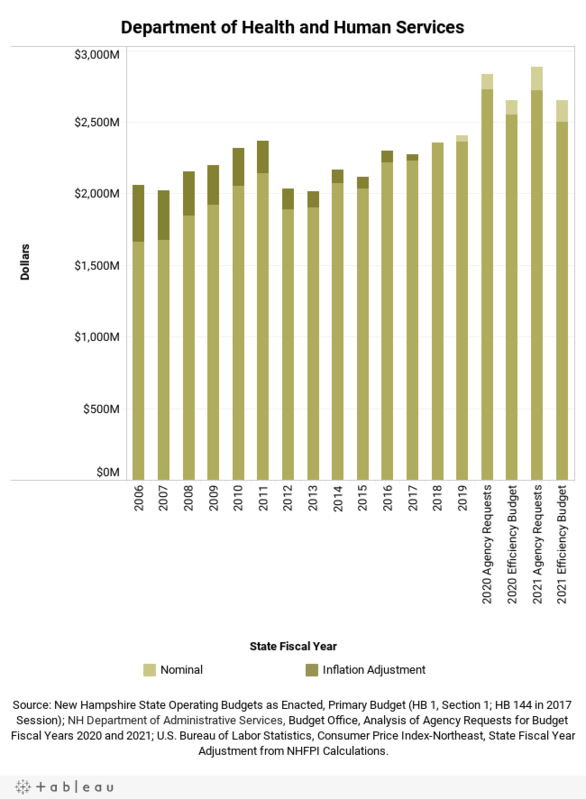 For the original data behind these graphics, see the Department of Administrative Services Budget Office web page and the Office of Legislative Budget Assistant’s web page cataloging State Budget documents.